In this tenth-anniversary edition of Encountering God, Eck shows why dialogue with people of other faiths remains crucial in today's interdependent world--globally, nationally, and even locally. Humans might have originated in Africa but they only got civilised when they first reached the shores of Ganges and populated this first city known by myriad set of names like Varanasi, Banaras, Kashi and so many others. An honest if condescending attempt to encourage interfaith dialogue. I liked the author's combination of personal story and academic presentation -- it lengthens the book but strengthens her argument. It's surprising to me how so few writers are able to do this. That last line's a pun, read the book and you'll get it. I would have loved to give this 5 stars - the only reason for taking off a star is that it could have been edited to be crisper. Intead, she chose the Third World, and her junior year in Banaras. I was there last month on a sudden visit that I couldn't plan properly, and therefore couldn't read up on enough. I recently made a two day solo trip to arguably the oldest city in the world-Varanasi and explored it on foot. I was there last month on a sudden visit that I couldn't plan properly, and therefore couldn't read up on enough. 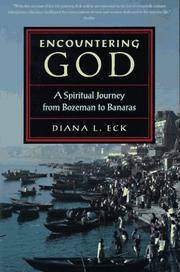 Her book Encountering God: A Spiritual Journey From Bozeman to Banaras is in the area of Christian theology and interfaith dialogue. Definitely a great and insightful introduction to the city. 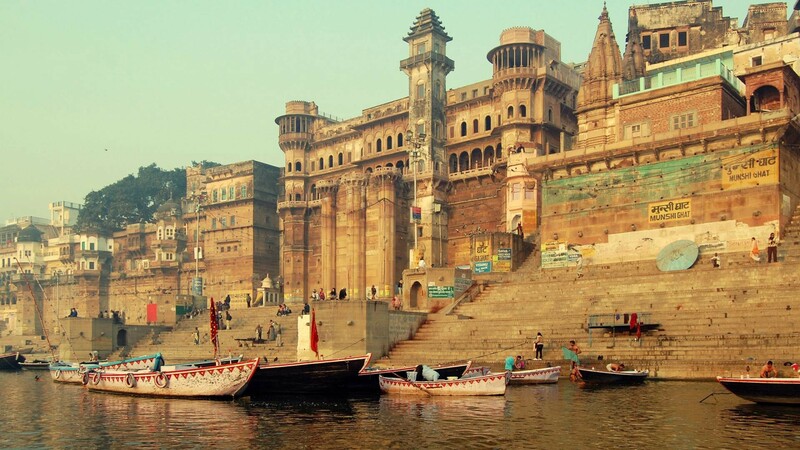 Banaras's beliefs and mythic concepts are a great place to start learning about what constitu Scholarly retelling of the oral histories and traditions that make Banaras, or Varanasi what it is today. As someone who sees cities as objects with life, this book has strengthened my connect with the city which i visited barely for a day. Her books include Banaras: City of Light and Darsan: Seeing the Divine Image in India and her most recent work, India: A Sacred Geography, published in 2012. Eck follows in the footsteps of Merton in exhibiting the mental agility needed to practice Orwellian doublethink, and simultaneously affirm and deny the same thing, namely that major religions are explicitly and deliberately mutually incompatible. She takes you from the bylanes of Kachori Gali to Rajghat Plateau and again back to Dashaswamedha and Manikarnika with the same fervour as it was when you started the journey. It just feels like you are travelling the city with Prof. She has been reappointed the chair for the Committee on the Study of Religion, a position which she held from 1990 to 1998. Hindus believe that Banaras has always been t Banaras is where civilisation began and this book traces those first steps of mankind in a masterly account. Her Christian faith commitment is apparent, as is her dedication to dialogue, and she has managed deftly to balance the two, presenting a nuanced discussion of the richness that can be gained from such authentic encounters both here and abroad. It is the place where Shiva, the Lord of All, is said to have made his permanent home since the dawn of creation. The book is based on observations, interviews and analysis of textual documents to argue that the essence of Banaras remains unchanged despite numerous attempts to redefine it by various invaders. 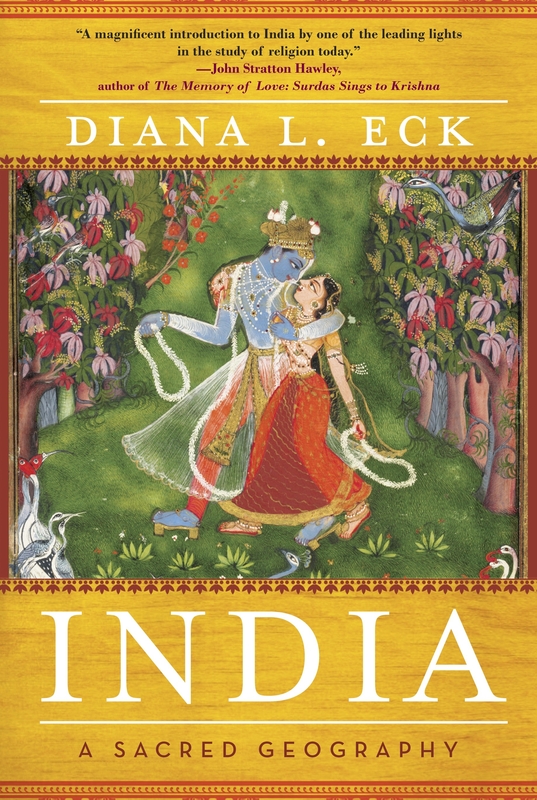 But with just her M. Professor of Hindu Religion Diana L. Among other works, she is the author of Banaras, City of Light, Darsan: Seeing the Divine Image in India, Encountering God: A Spiritual Journey from Bozeman to Banaras, and A New Religious America: How a Christian Country Became the World's Most Religiously Diverse Nation. She takes you from the bylanes of Kachori Gali to Rajghat Plateau and again I recently made a two day solo trip to arguably the oldest city in the world-Varanasi and explored it on foot. She tells how people travel from all over India to Banras for the privilege of dying a good death here, for they believe that on the banks of the River Ganges where ';the atmosphere of devotion is improbable in its strength, ' it is possible to be released from the earthly round forever. Eck has worked closely with churches on issues of interreligious relations, including her own United Methodist Church and the World Council of Churches. She reveals the spiritual and historical resonance of this holy place where great sages such as the Buddha and Shankara were taught, where ashrams, palaces, and universities were built, where God has been imagined and imagined in a thousand ways. Eck is so effective in describing a concept or experience and unpacking its significance in relevant ways. 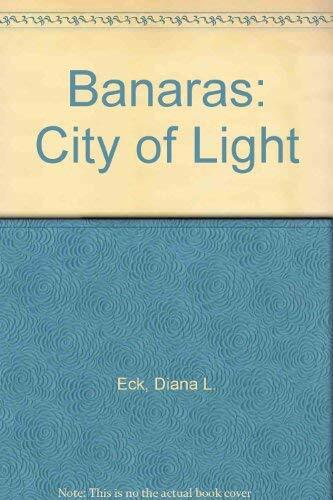 Diana Eck provides a richly-textured, nuanced, sensitive account of a city that the Hindus consider most holy. Since 1991, she has headed the Pluralism Project, which explores and interprets the religious dimensions of America's new immigration; the growth of Hindu, Buddhist, Sikh, Jain, and Zoroastrian communities in the United States; and the new issues of religious pluralism and American civil society. One ends filled with admiration and awe, not just for the vision given us, but for the scholarship and dedication that made it possible. India started the Montana native on a trip that went halfway around the world and ended in a Harvard Faculty chair last fall. The author has done a phenomenal job of researching and understanding and learning about India, Hindu culture, mythology, philosophy, rituals, practices and so on. It is a wonderfully researched piece of work which details the history, myths , legends behind every significant place in this city. Frontiers of Encounter: The Meeting of East and West in America since the 1893 World's Parliament of Religions -- 3. It is also both an urgent call for interreligious dialogue and a theological argument for that pluralism underlying such dialogue. 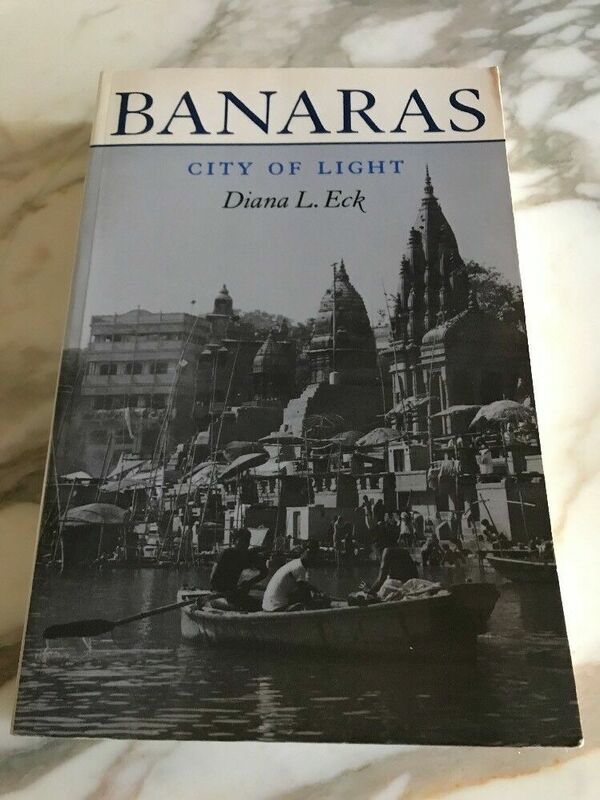 Diana Elk has given the world a real treasure and to really understand human history everybody should educate themselves with the heritage that Banaras represents. I found it to be more a story of the authors experiences in these two religions and how she came to appreciate and question certain things in both rather than a text actually comparing the differences and similarities between the two religions. 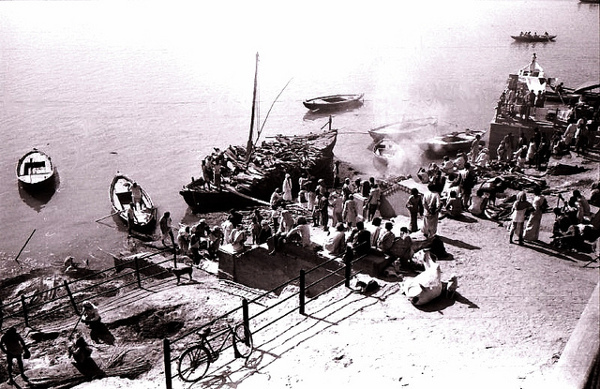 That summer she studied Hindu at the University of Wisconsin and then in the fall of 1965 left for Banaras, despite the continuing war between India and Pakistan. She has understood the very pulse of Benaras and has penned it to minute details. The last chapters comprise a long plea for pluralism and ecumenism that seemed superfluous to this reader, and probably to most -- anyone who would have stayed with the book that far would not need those last chapters to convince us of the need for pluralism and acceptance. There are a few very interesting anecdotes that one finds between those familiar ones which make it worth a read. But with just her M. She reveals the spiritual and historical resonance of this holy place where great sages such as the Buddha and Shankara taught, where ashrams, palaces, and universities were built, where God has been imagined and imaged in a thousand ways.